Contact Our Air Duct Cleaning Experts Today! 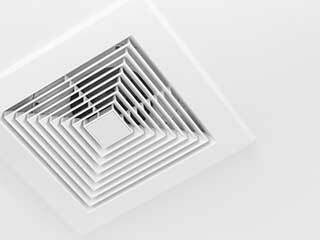 Most people probably haven’t thought about their air ducts all that much, espciailly if they’re working properly. They simply provide your home with heat and air conditioning, depending on the weather, and that’s about it, right? Wrong! While indeed delivering this all-important service to you, they’re also doing something else: collecting all sorts of dust, pet dander, and other things. These substances build up over time and get distributed into the air that you and your family breathe. Even more concerning, if any of your family members are older, have asthma, or any other breathing issues, this contaminated air can be especially harmful. This worry is especially pressing in homes where smoking occurs, as the smoke can also get trapped and dispersed multiple times a day by the duct. Even without any sort of breathing troubles, dirty air can cause fatigue. If left long enough, the dirt and other materials can accumulate up to 40 pounds worth of pollutants in your duct, according to the EPA. Aside from the health issues, this is also bad for your energy bill. More of it is needed to force air through these blockages, which is costing you more money. Equipped with the best possible tools, our trained team can assist you by clearing out your air ducts quickly and professionally. We have agitators that loosen the dust up so that our vacuums can take care of the rest. This is important, because otherwise the loosened materials would make their way into your home, which is the opposite of what you want! Our company has been working in your area for years, so you can count on us to get the job done right. When it comes to something as important as you and your family’s health, you want the very best. It just so happens that we’re one of the best in California, so you’ve got nothing to worry about! Plus, being close by ensures we’ll get to work for you even faster. Call Air Duct Cleaning Vista today to schedule a time that works best for you. We’re local, and ready to get to work. It’s time to help you and your family to breathe easier.